Germon-Gibbon wedding. The Western Times, Thursday, November 4, 1886, page 3. (Left) Rev. Richard Germon. See larger and full size. (Right) Elizabeth Gibbon. See larger and full size. See other shot. See back. Apparently educ St Mary Hall, Oxford. He graduated with a B.A. He was tutor around 1880 of Arthur F.V. Gibbon [born 1866]. [House Book of Arthur Augustus Gibbon] has an entry: "Towards Testimonial to Mr. R.M. Germon" on 16 June 1880. 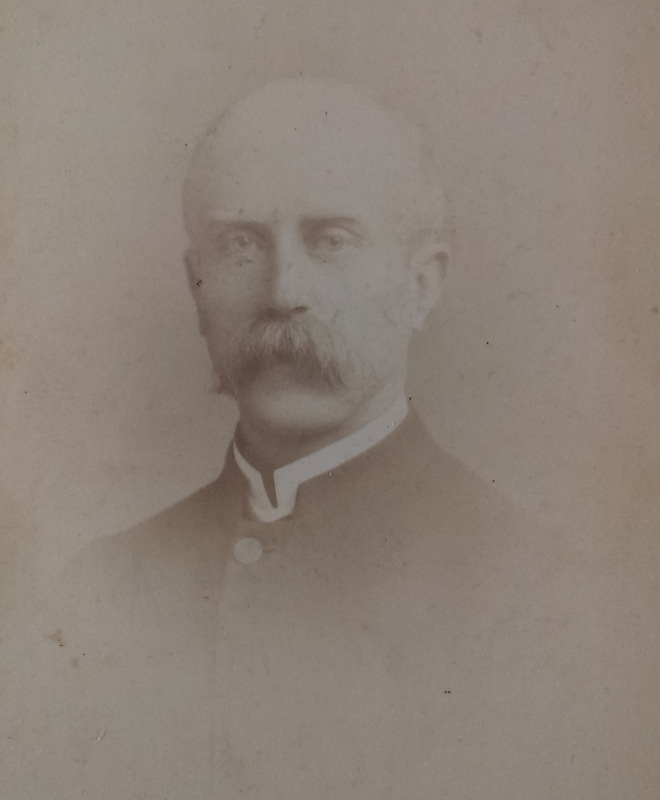 In [UK census, Apr 1881] he is listed as "Teacher B.A. S.M.H. 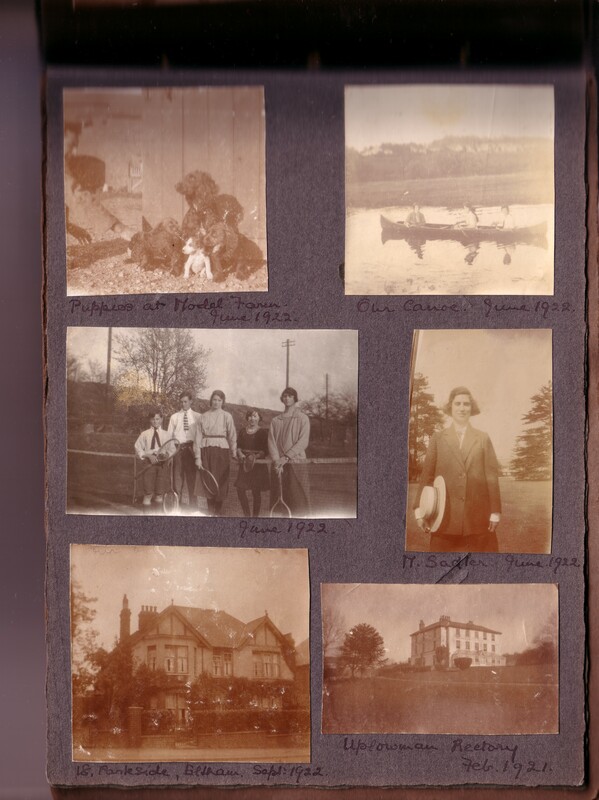 Oxford", lodging with the Pearman family at Four Ashes Lodge, Enville, Staffordshire. 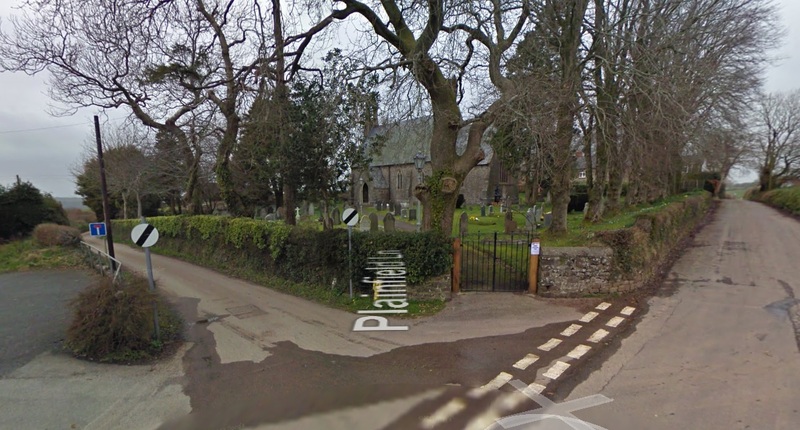 As at 1881 he is "curate", St. Catherine's church (or St. Katherine's), Withleigh, W of Tiverton, Devon (see map). The church was part of Tiverton parish. The Gibbons rented Brook Cottage, Dawlish, Devon, from Oct 1881 to Apr 1882. 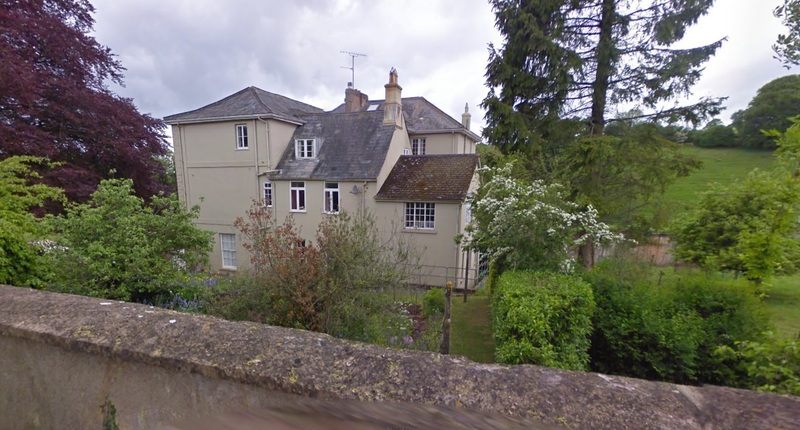 The Gibbons rented Elm Cottage, Tiverton, from Mar 1886 to Mar 1893. Withleigh was made a separate parish in 1886. 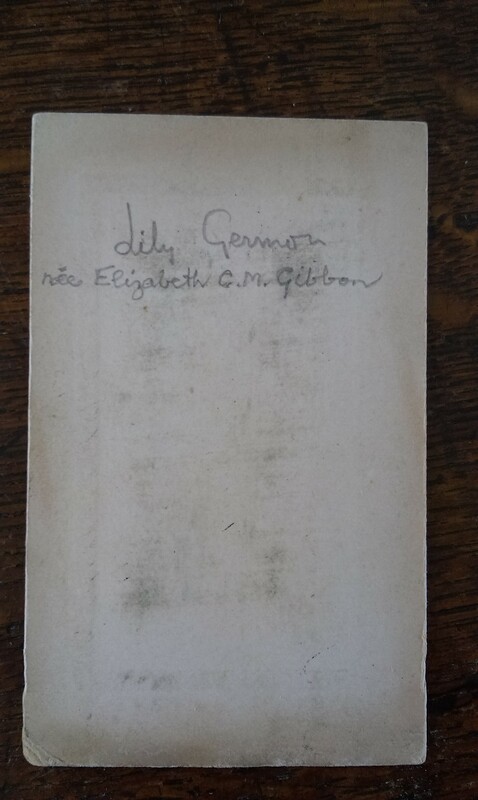 He was Vicar of Withleigh, Devon, 1886-1912.
to Arthur Gibbon's sister Elizabeth Gibbon ["Lily", born 27 July 1864, descendant of Edward III]. See notice in The Times, 9 Nov 1886. (todo) See [GRO.UK] 4th qr 1886. He was Vicar of Withleigh until 1912. Census says older children were born at Withleigh 1888-93. Later they lived at nearby Tiverton. They are listed in 1901 census at St.Andrew St, Tiverton (see map). They are listed in 1911 census at Charlton Cottage, West Exe, SW side of Tiverton. 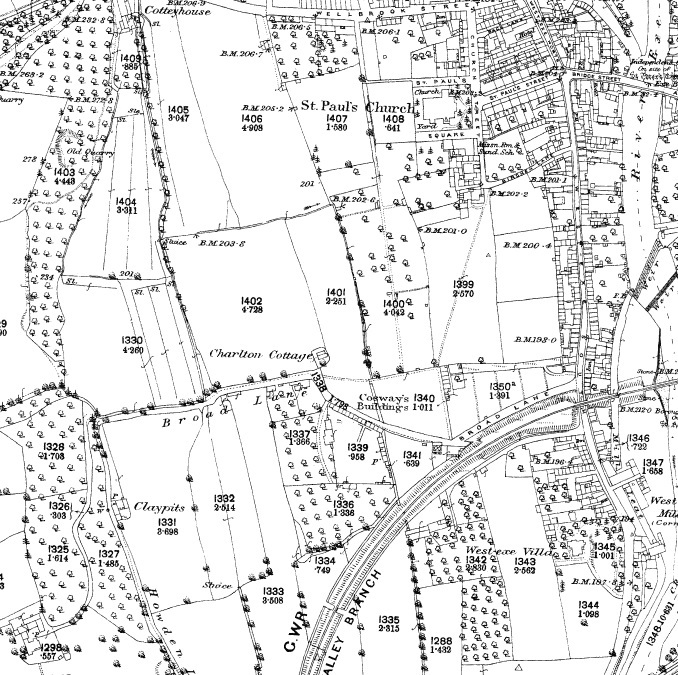 See Charlton Cottage on 1889 map from old-maps.co.uk. This is now the entrance to Heathcoat Primary School. See street view. They moved to Uplowman, NE of Tiverton, Devon (see map). He was Vicar of Uplowman, Devon, 1912-22. They lived at Uplowman Rectory. From 1923 to 1931 they lived at Upleigh, Braunton, near West Down, far N of Devon (see map). Elizabeth died 13 Oct 1932, age 68 yrs. She was possibly bur Tiverton. In 1934 he was living Deanscourt, Braunton, Devon. His son became vicar nearby at West Down in 1935. He died 28 Mar 1942, Aberlawe (or poss. 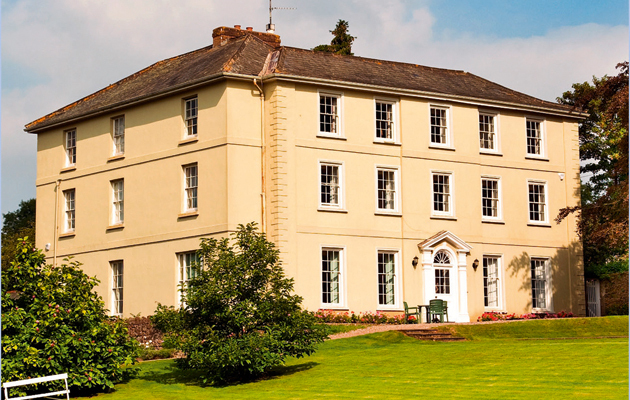 Abertawe), Hillsview, Braunton, Devon, age 85 yrs. He was poss. 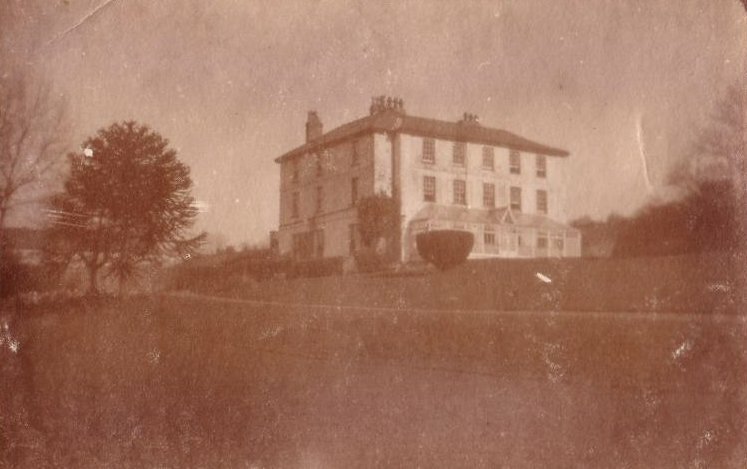 bur at vicarage, West Down (where his son was vicar), or poss. bur Tiverton. mar Nancy ---- and had issue. 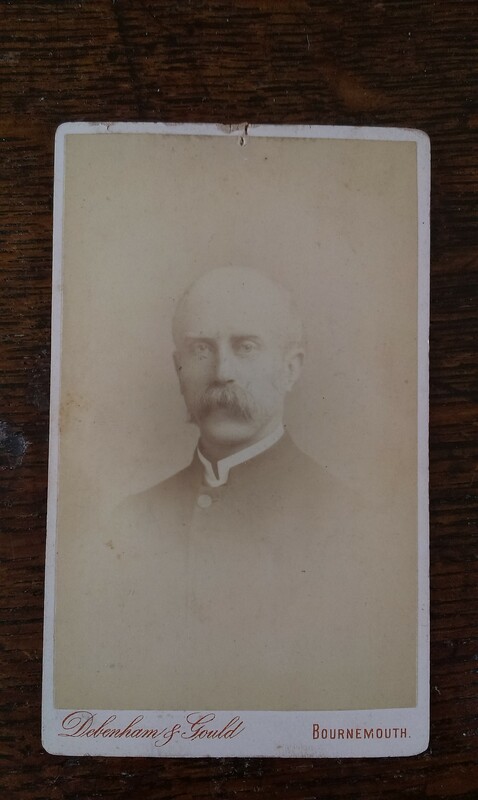 (todo) see [GRO.UK] 4th qr 1889.
died the following day, 26th Nov 1891, Tiverton district. (todo) see [GRO.UK] Tiverton district, 2nd qr 1893. He is at home in 1911 census, listed as "architect's clerk". From 1930 to 1933 he was curate in Taumarunui diocese, Waikato region, North Island, New Zealand. In 1933-34 he was priest-in-charge at Piopio, Waikato region, New Zealand (see map). From 1935 to 1942 he was Vicar at West Down, N of Braunton, far N of Devon. His father lived nearby at Braunton. He mar 15th Aug 1936 to Mary Hellings (Beatrice Mary), no issue. He was Vicar of West Down with Bittadon (E of West Down) 1940. His father died at Braunton, 1942. 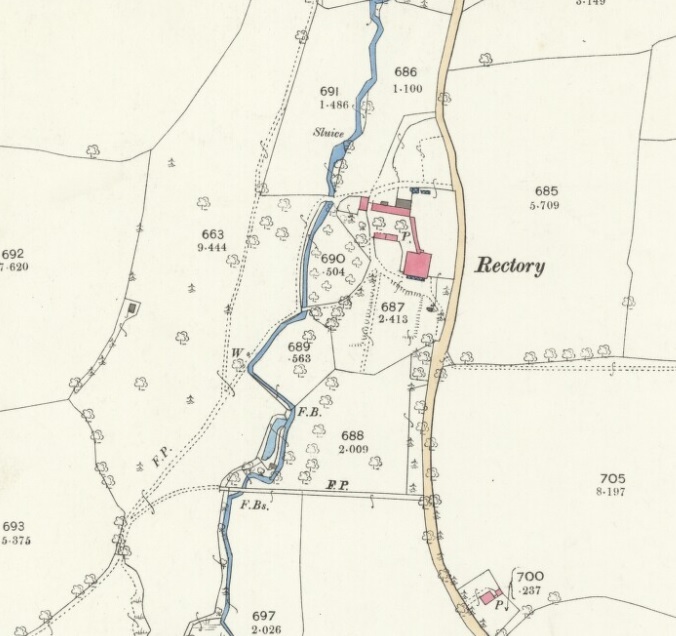 From 1942 to 1952 he was Rector (or Vicar) of Meavy with Sheepstor, near Yelverton, W Devon (see map). From 1952 to 1963 he had permission to officiate in Diocese of Exeter. As at 1963 he was living in flat C, 175 Blatchcombe Rd, Paignton, Devon. He died 23rd Nov 1975 at Exmouth, E Devon, age 82 yrs. See Rev. Frank Germon in Biographical Directory of Anglican Clergy of New Zealand (see sources). (todo) See Clergy List, London, George Cox. 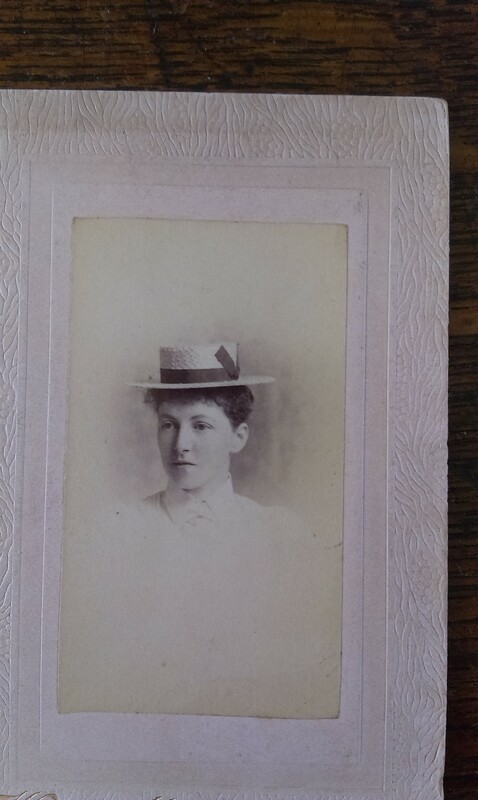 died 15th Oct 1898 (poss. 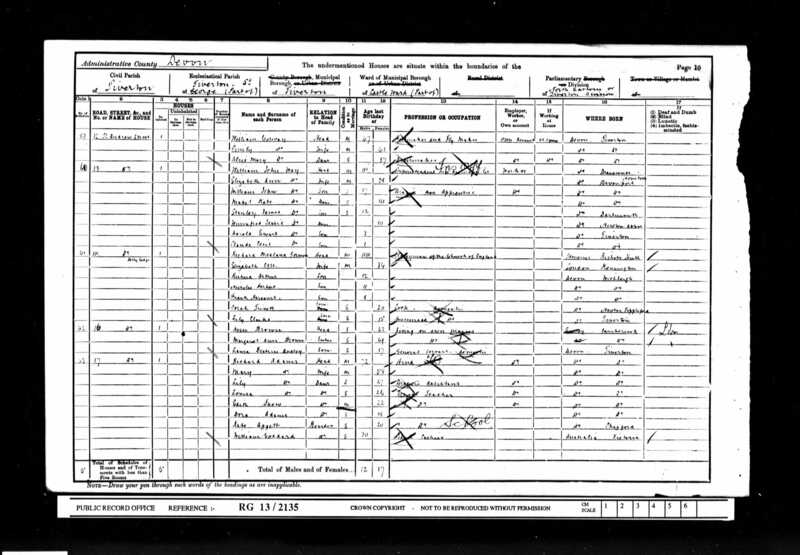 Sept), Tiverton district, age 1 yr.
[Germon family trees] also list the following 3 children. 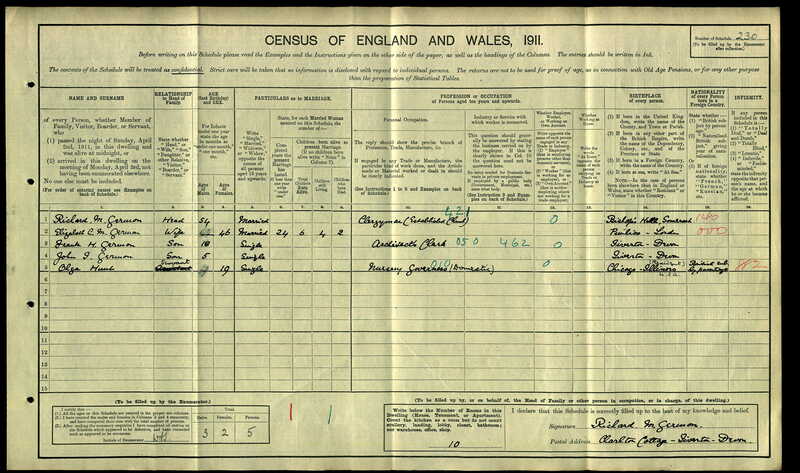 But this would conflict with 1911 census, which says they had 6 children born, with 4 still living in 1911. 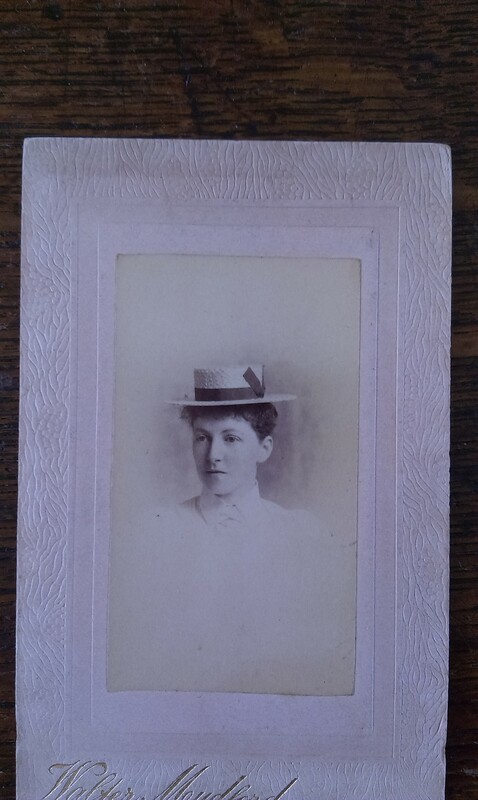 May Germon, born 1901, Tiverton district. 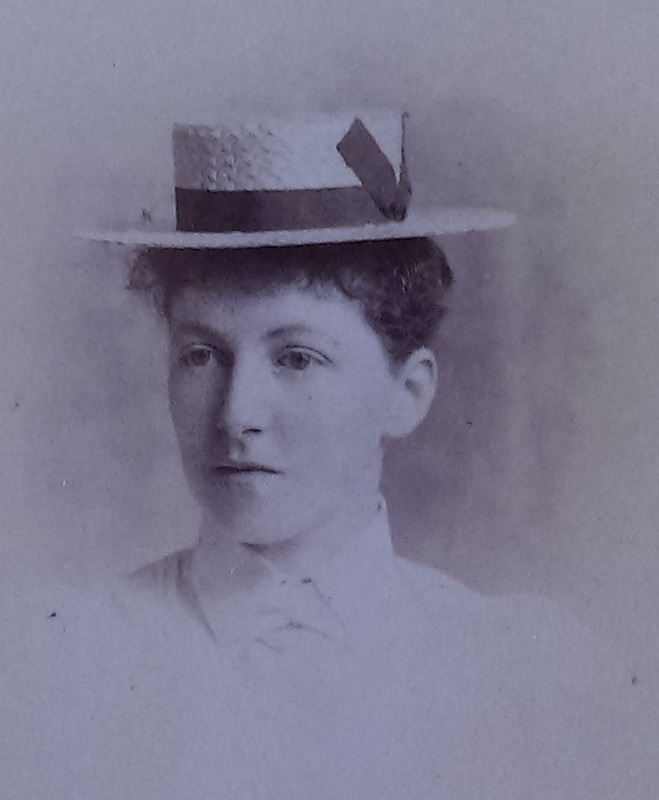 Winifred Germon, born 1901, Tiverton district. Rev. 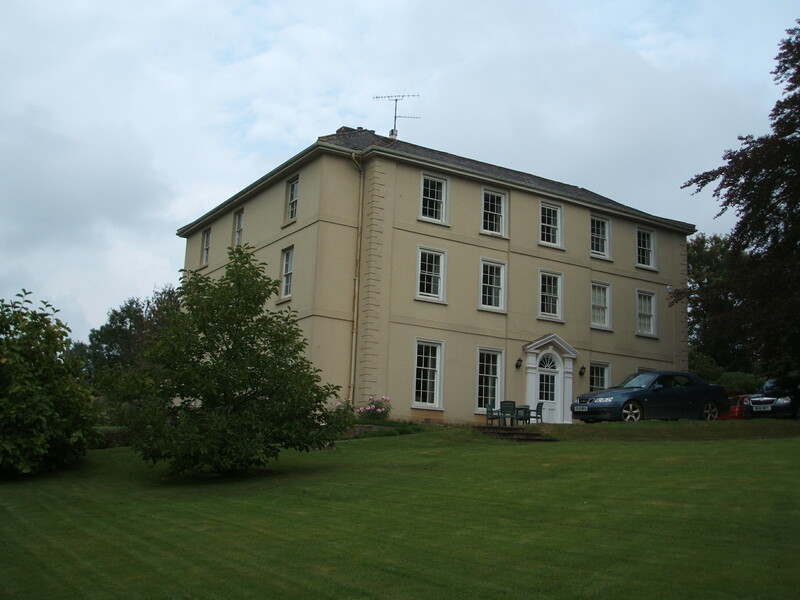 Richard Germon and Elizabeth lived in the magnificent 18th century Rectory at Uplowman, Devon, in 1912-22. Some distance NE of the church. See satellite view. After WW2 it ceased to be the Rectory. The church sold it in 1948. It was re-named Uplowman House. The Queen's cousin, Margaret Elphinstone, lived there from 1952 to 1973 with her husband Denys Rhodes. See her memoir of life at Uplowman. From old map. Surveyed: 1887. Published: 1889. View from SW. Photo Feb 1921, in Germon's time. The veranda along the side has since been removed. View from SW. Photo 2011. For sale as at 2015. Uplowman House. View from E.
(Left to Right) Rev. 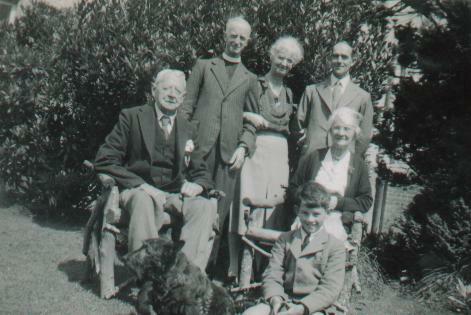 Frank Germon, Elsie Briggs, Mary Hellings, Edward Stanger. Scan 1999. Original photo has been destroyed. Back (Left to Right): Rev. 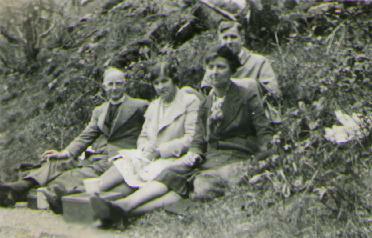 Frank Germon, Mary Hellings, Gerard Gibbon. Rectory garden, Meavy, summer 1948.